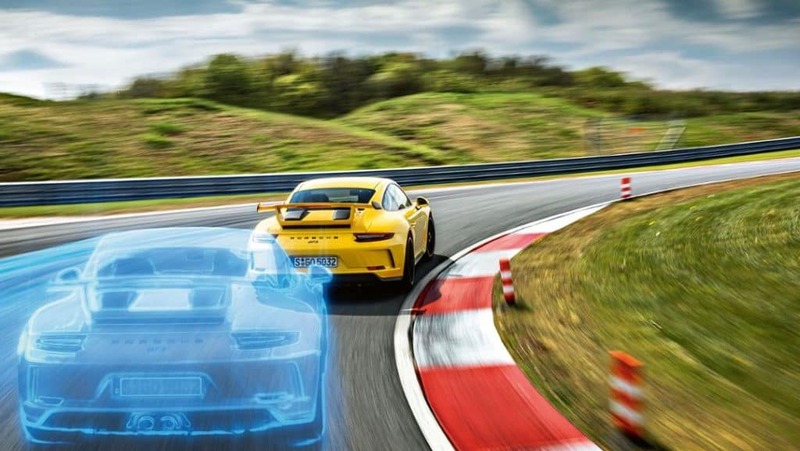 The new Porsche Track Precision app assumes the role of driving instructor on the track. Three functions are especially fascinating. Precision as a learning objective: it can now be achieved with a smartphone thanks to the advance of digitization. A personal test. Many decisions in the course of a lifetime are made on gut instinct alone. From a scientific perspective, some such decisions could be regarded as a dangerous manifestation of naïveté. For example, when it comes to the optimal braking and steering points on a racetrack. Or the ideal moment in which to accelerate. Or the questions of when and why a certain line is faster than another one. The stopwatch—heretofore the only trustworthy companion, which praises or rebukes you with its incorruptible hands—doesn’t always tell you the truth, either. When you feel fast, it has the gall to assert that you were too slow. When you think you’ve had a bad lap, it suddenly points to a personal best. Receiving the breakdown when it’s too late, once you’ve already traversed the homestretch, offers few analytical lessons and is therefore of little use to the driver. We’re at Bilster Berg, a test and event track in the geographical center of Germany, picturesquely situated amid the verdant and scenic landscape between Hanover and Kassel. The beauty of East Westphalia at its finest. The 4.2-kilometer roller coaster of a track—many call it a shorter version of the Nordschleife—stretches out before us. The car: the new Porsche 911 GT3. Bright yellow, 500 hp (Fuel consumption combined 12.9 – 12.7 l/100 km; CO2 emissions 290 – 288 g/km), and with a top speed of 320 km/h. The new standard in the sports car faction. With conventional manual transmission. The coach: Eduard Schulz plies his trade at the Porsche development center in Weissach in the department Porsche Connected Car – Drive Functions. He’s the developer of the new Porsche Track Precision app. The pupil: my humble self. Though well acquainted with the track, this lofty combination of car, semi-slick tires (Michelin Pilot Sport Cup 2 N2), and open sunbaked circuit is terra incognita for me. The hardware—an iPhone 6—is installed in a stable mount below the rearview mirror. Of the 130 circuits from roughly sixty domestic and international racetracks, you simply select the right one—Bilster Berg in this case—and start the system. “The best results are achieved with circuits on which there are many variations of the ideal line and thus numerous different braking points. This enables the driver to try different driving styles,” says Schulz, which in turn confirms my choice of precisely this circuit. While I’m taking my first laps, the system draws on all the data recorded by the on-board sensors of the 911 GT3: steering angle, brake pressure, gas pedal position, and lateral and longitudinal forces, including all GPS data. The start and finish lines are automatically recognized. Everything in between is registered and recorded. After leaving the circuit, the results can be saved with a tap of the finger—even if only to share a lap time and all the recorded data with friends. After only the first go-round, the data recorded in the smartphone allow some initial analysis. Video recordings are helpful as well. Synchronized with the video, the steering wheel in an animated GT3 cockpit moves in step with the steering angle selected previously in reality. Simulated pedals manifest both the brake pressure and gas pedal position selected over the course of the circuit. The lap timer function shows the lap and sector times and displays deviations from a defined reference lap. Among other functions, the driver can compete against his or her own previous lap in real time. Speed, engine speed, gear, lateral and longitudinal acceleration, and—a revelation to this driver—the oversteer or understeer tendency are all registered. The recorded GPS data can be used to recreate the entire lap in order to enable chronometric evaluations. Having your own line presented to you afterwards and digging into the details of each section of the track, or flipping to the corresponding video, simplifies the self-analysis process considerably. Thanks to the animation, it’s possible to follow an imaginary vehicle along the ideal line. This makes it possible to visualize line and time deviations. You can essentially have yourself dragged along by the ghost car. An alternative is to have a bar diagram display in real time how much slower (red) or faster (green) your current lap is compared to the reference lap. If the red bar is too high, you can spare the tires and stop the lap without further delay. If it flips from red to green, as it did for me at the end of the second section, I’m on course for a record time compared to the fastest lap of the previous stint—a gratifying validation, and not just for me. App developer Schulz was delighted as I crossed the line as well: “Our analysis was effective—one second faster than the first time around.” Before, I could only have guessed why I was faster in the end. Now I know. The Porsche Track Precision app is available for all new 718 Boxster, 718 Cayman, and 911 models, as well as all GT types. 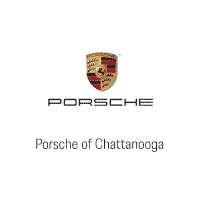 Prerequisites: Porsche Communication Management (PCM) system version 4.0 or higher and the two equipment options Connect Plus and Sport Chrono package.